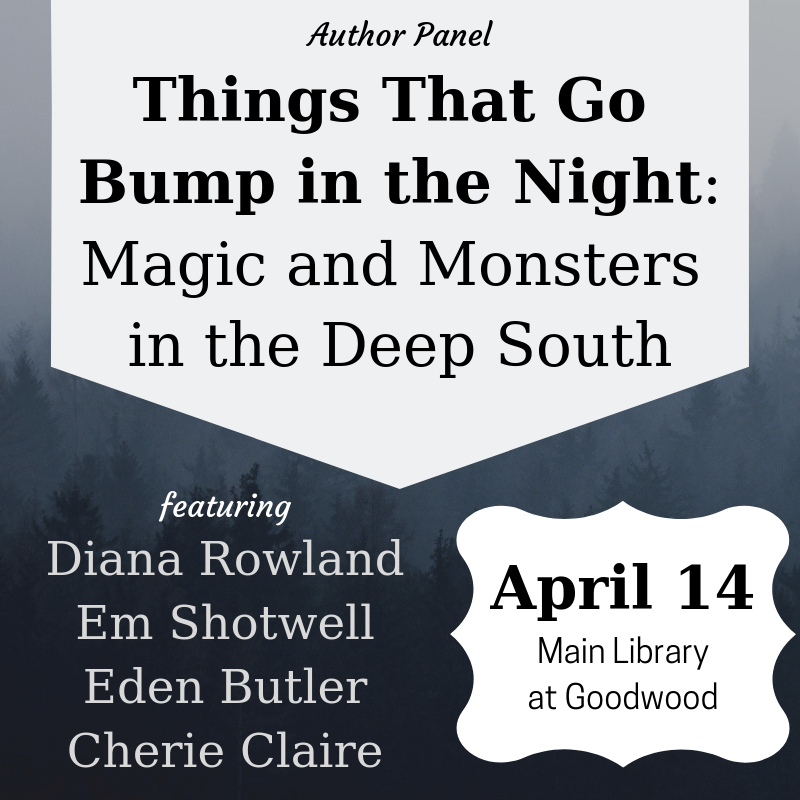 As part of the One Book One Community celebration of The Hound of the Baskervilles by Sir Arthur Conan Doyle, authors Diana Rowland, Em Shotwell, Eden Butler and Cherie Claire will be at the Main Library at Goodwood at 3 p.m. Sunday, April 14, to present a panel for adults on how they’ve used the south’s rich storytelling history to craft books involving magic, monsters and more! From folklore, to local legend, to modern creations, we celebrate a history that is ripe for creating tales to give readers chills. Be sure to bring all your burning questions! Don’t forget to check out all the One Book, One Community events still happening this year! 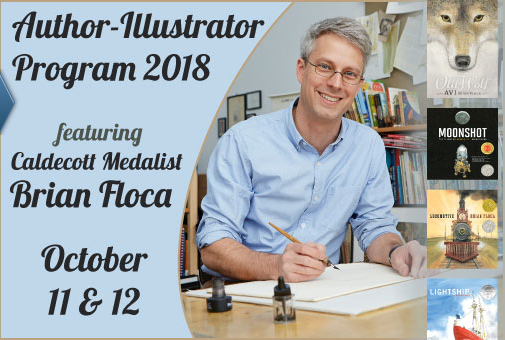 The East Baton Rouge Parish Library is proud to present author and illustrator Brian Floca as the featured speaker for the 41st Annual Author-Illustrator Program, which will be held Thursday and Friday, October 11 and 12, at the Main Library at Goodwood, located at 7711 Goodwood Blvd. Brian Floca is the author/illustrator and illustrator of numerous award-winning books for children, including Locomotive, winner of the 2014 Caldecott Medal, a Robert F. Sibert Honor Book, an Orbis Pictus Honor Book, a New York Times 10 Best Illustrated Books of the Year selection and a New York Times bestseller; Moonshot: The Flight of Apollo 11, a Sibert Honor Book, New York Times 10 Best Illustrated Books of the Year selection and Society of Illustrators silver medal winner; Lightship, a Sibert Honor Book and a Booklist “Top of the List” picture book; and The Racecar Alphabet, an ALA Notable Children’s Book and a Kirkus Reviews Editor’s Choice. 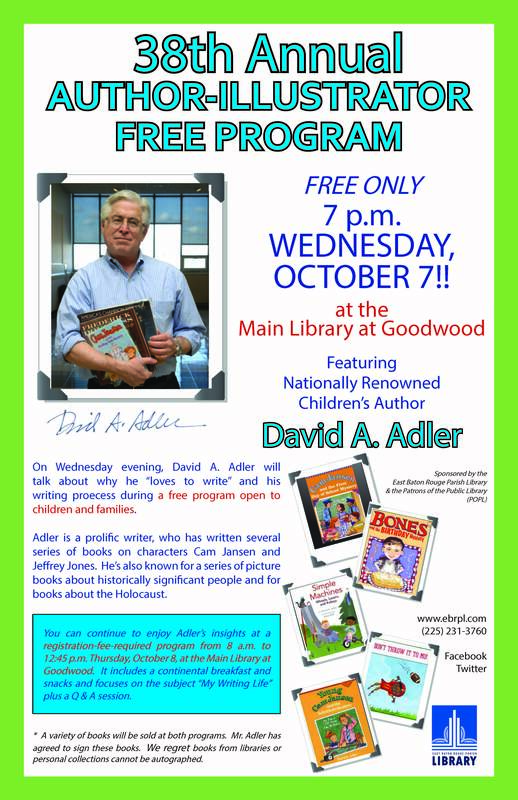 Adults, teens and children are invited to attend the FREE Thursday evening program on October 11. Then on Friday, October 12, Floca will present a program for teachers, librarians, writers, parents and lovers of children’s and young adult literature. The registration fee for this event is $25 for adults and $10 for students with a valid school I.D. Both events will include a book sale and autograph session. You can find registration information online, or by calling the Children’s Department at (225) 231-3760. The Author-Illustrator Program affords an excellent opportunity to hear “the story behind the story” from prominent writers and illustrators of literature for children and young adults. Some notable names in the field of literature who have been featured during these annual programs have included: Rosemary Wells, Gene Yang, David Adler, Katherine Paterson, Linda Sue Park, Avi, Jack Gantos, Patricia and Fred McKissack, and Richard Peck. Anthony Bourdain’s love of Louisiana cuisine and culture was well-documented. In honor of the time he spent here, we have collected his works, both in print and on film, so that those who wish to do so can more easily find them. If you or a loved one are struggling with mental illness, please make note of the library’s collection of local resources for mental health. 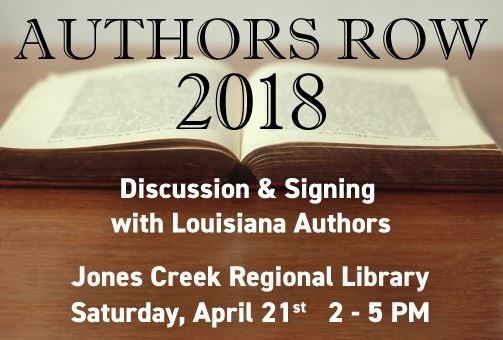 Come and meet local Louisiana published authors. Writers will be in attendance to discuss their works and sign their books. Many new authors participate in this program; these new talents may be tomorrow’s best-selling authors! This program is held at the Jones Creek Library on Saturday, April 21st, from 2-5 PM. It is free, and registration is not required. For more information please call the Jones Creek Branch at (225) 756-1140. Author Randall Ladnier will be at the Main Library at Goodwood, 7711 Goodwood Blvd., at 7 p.m. Wednesday, February 21, to discuss his book The Brides of La Baleine. The book covers the history of 88 young French women who volunteered to come to the Louisiana colony in 1720 to become brides for the soldiers and settlers here. 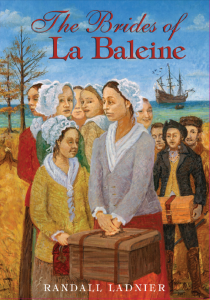 The young women were transported on a ship named La Baleine, and they arrived in Biloxi in January 1721. Many of them married and had large families, with thousands of their descendants still living in the Gulf Coast states (including Louisiana!). For instance, one young woman named Catherine Melier married Pierre Prudhomme in 1724, and now their family line consists of more than 700 different surnames! Ladnier himself is a direct descendant of a bride named Marie Angelique Girard. Adults are invited to this free event hosted by the East Baton Rouge Parish Library Special Collections Department. Copies of the book will be available for purchase. Mark your calendar now! 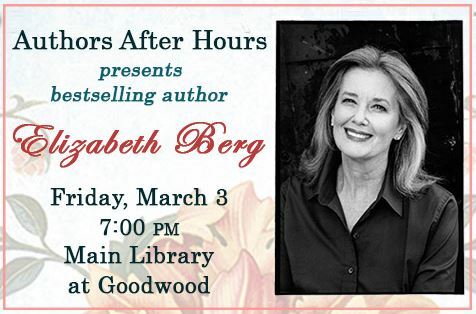 Bestselling author and novelist Elizabeth Berg will be at the Main Library at Goodwood at 7 p.m. Friday, March 3, for the Authors After Hours program! Warm without being sentimental, optimistic without being cloying, and eminently readable, Berg has written 21 novels, three short story collections and two nonfiction books, many of which have been New York Times bestsellers. Three of her novels were television movies and she also has been honored with the NEBA Award for her body of work. Other awards received by Berg include Oprah’s Book Club Selection for Open House, the American Library Association’s (ALA) Best Books for Young Adults Award for Joy School, the AMC Cancer Research Center’s Illuminator Award for Talk Before Sleep and the ALA Best Books of the Year Award for Durable Goods. 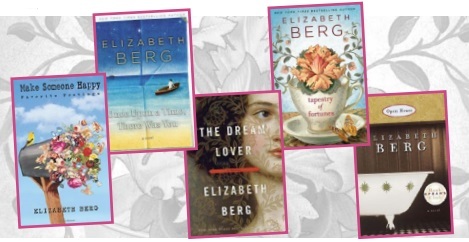 To learn more about author Elizabeth Berg and her works, visit her website. To find a great new read, visit our catalog! 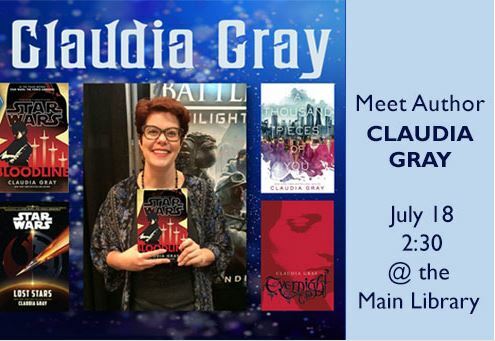 Claudia Gray, the author of YA series like Spellcaster, Evernight, and Firebird, and Star Wars novels Bloodline and Star Wars: Lost Stars, will be at the Main Library on July 18th from 2:30 – 4:00 PM. Books will be available for sale at the program, and the author will sign them after the Q&A. If you want to get a refresher on your favorite characters and plot points before she speaks, check them out! Everyone loves a good period piece now and then. When it’s Jane Austen and happy endings are basically guaranteed, all the better. The latest Jane Austen-based film, Love & Friendship, is taken from one of her earliest novels: Lady Susan. It’s been blisteringly well-reviewed. But it’s definitely not the only Jane Austen work to make a very entertaining film. Check out these other Jane Austen remakes from a library branch near you! Sense and Sensibility. Look, okay, if you haven’t seen the one that Emma Thompson wrote and Ang Lee directed that’s basically two hours of Emma Thompson being better than everyone, don’t even bother reading the rest of this list: you are behind; you need to catch up. Once you’ve come back, click here to check out all the remakes and updates and whatever else you might possibly need. All of Jane Austen is deserving of love and affection, but sadly, not all of her works have been given the level of attention they truly deserve. Which is a quick way of saying Mansfield Park, Northanger Abbey, and Persuasion are kind of on their own. They’re definitely worth seeing! Whether you’ve never seen a Jane Austen movie in your life or you’ve watched the part where Colin Firth climbs out of the pond so many times that your DVD skips, there’s something here for everyone. Get started today! 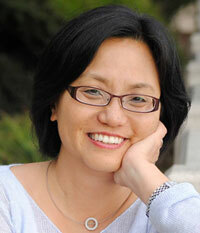 The 36th Annual Author-Illustrator Program features Linda Sue Park, renowned author of books for children and teens. On Thursday, October 3, at the Bluebonnet Regional Branch, Linda Sue Park will present a free program for adults, teens, and children at 7:00 p.m.
On Friday, October 4, Linda Sue Park will lead a workshop for teachers, writers and students at the Bluebonnet Regional Branch. A continental breakfast will be offered at 8:00 a.m., and Linda Sue Park’s program will begin at 8:30 a.m. Registration is required to attend the Friday workshop; the registration fee is $25 for adults and $10 for students. The Author/Illustrator Program affords teachers, librarians, parents and other interested adults an excellent opportunity for an exchange of ideas with prominent writers, artists, scholars, and performers of literature for children and young adults. Previous notable artists in the field of literature who have been featured include Avi, Patricia and Fred McKissack, E. L. Konigsburg, Stephen Kellogg, Paula Danziger, Mercer Mayer, and Richard Peck. Both events will include a book sale and autograph session, sponsored by Patrons of the Public Library. Linda Sue Park will autograph copies of her books that will be sold at the program. With several books for children and young adults to her name, Linda Sue Park has won numerous awards including the Newbery Medal, ALA Best Book for Children, ALA Best Book for Young Adults, Bank Street Best Children’s Book of the Year, the Jane Addams Children’s Book Award, and the Skipping Stones Honor Award. For more information about the program and to register, call (225) 231-3760.